Chris has always had a vision for optimal health and how it can and should be delivered. He has a great passion for helping people to achieve their maximum potential in a way that has inspired many patients, clients and fellow health professionals to go beyond what they thought possible. His enthusiasm to continually pursue the most effective forms of treatment and management strategies ensures that his clinics consistently achieve accolades. Chris has always been a keen sportsman since his childhood in his native Australia. A keen cricketer, runner, cyclist and swimmer he always foresaw a future in sports, health and fitness. After graduating from Sydney University with a degree in physiotherapy in 1992 he gained valuable experience working in hospitals and private clinics throughout Sydney and northern NSW. He worked in diverse fields such as ICU, neonatal ICU, medical and surgical wards, neurological rehabilitation, amputees, musculoskeletal physiotherapy, cardiorespiratory, paediatrics, A & E and sports medicine. 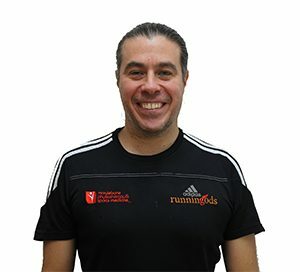 This diversity provided an excellent foundation on which to build his specialisation in musculoskeletal physiotherapy, sports medicine and human performance. To further broaden his horizons Chris decided to accept a position in the UK to establish a physiotherapy and sports medicine clinic in a private hospital in the Harley Street area of London. He commenced this project in 1995 and by 2000 the success of this clinic had attracted the attention of HCA which was one of the biggest private healthcare providers in the world. HCA purchased this clinic which was the catalyst for Chris to establish his own company, Health Consultants Incorporated. In the past 20 years Chris has amassed over 100,000 hours of clinical experience treating the entire age spectrum from children through to the more senior ranks. He treats individuals, companies, Embassies, performers, actors, singers, dancers from both contemporary and classical companies, professional sports people including runners, footballers, martial artists, boxers, swimmers, racing drivers and tennis players. Chris has developed a unique and progressive style which has evolved organically allowing him to establish a world renown reputation not only for himself but the clinic, companies and services he and his team offer. Chris is particularly revered for his ability to manage and treat the most complex and challenging cases. Chris and his team have now consulted in 42 countries around the world. A statistic that is continuing to grow! He has a way of breaking down the most complex scenarios into achievable components and working to optimise these variables to achieve positive outcomes. He is often the quiet achiever behind successful performances of many well known performers, athletes and dignitaries. Chris is still a keen runner, cyclist, swimmer and adventure racer. Using this love with his desire to support charities Chris competes to raise money for Action Medical Research, the Brain and Spine Foundation, Sports Relief, Noreen's Kids and he offers his support to runners that are raising funds for many different charities during the London Marathon. When he isn't being a legend at work Chris is being a legend to his wife and 5 children. His life motto is 'Pursue you Dreams'.